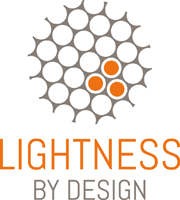 Lightness by Design provides consulting services within simulation-supported product development, design evaluation, and optimization of structures. Our company is owned and operated by a group of experienced engineers with a long list of clients in the Swedish industry. Lightness by Design’s customers are often from very competitive markets, like aerospace and defense, in which product performance is extremely important and failure is not an acceptable alternative. Our services are primarily engaged by clients early in the design phase to evaluate different concepts and help steer their work in the right direction. Following projects through to production and verification and assisting with further simulations and testing are natural extensions of this early-phase work.